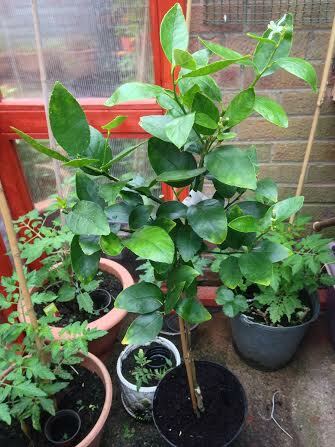 The latest additions to my ‘Urban Farm’ are these beautiful citrus trees. 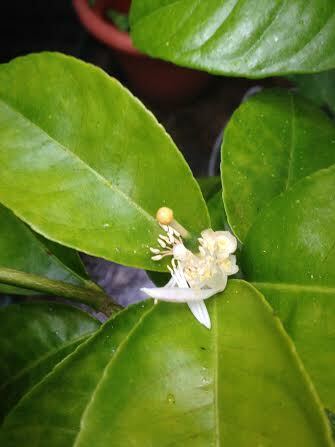 Beautiful scent from citrus trees! 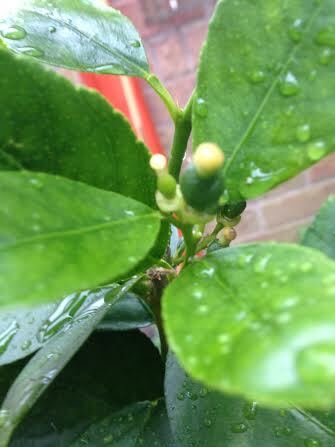 Here are the lemons forming behind the flowers. often used as a rootstock, produces wonderful round juicy lemons with a bumpy texture. A native of India. 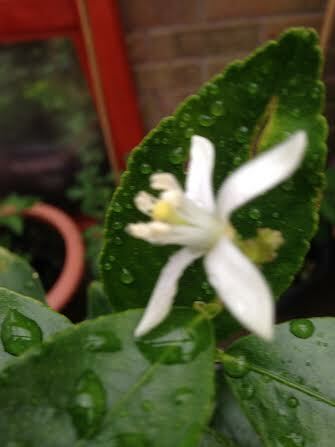 …and the second is Citrus latifolia ‘Tahiti’ Lime. This is the lime you can buy in the shops. A seedless fruit on a prolific cropping plant, which if left on the tree will eventually turn yellow. The leaves are very aromatic. A great starter plant. I’ll be growing them in the new greenhouse I have just made in the back garden for now, taking them outside in the Summer and bringing back under glass in the Autumn. 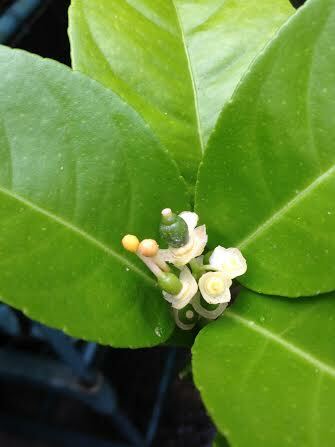 They are already in flower and are showing lots of little fruit. The fruit aren’t the only useful bit, however. The leaves can be used to wrap around meat or fish to add scent and flavour and the flowers are used to make syrup. They are beautifully scented and as you can see are in first class condition. 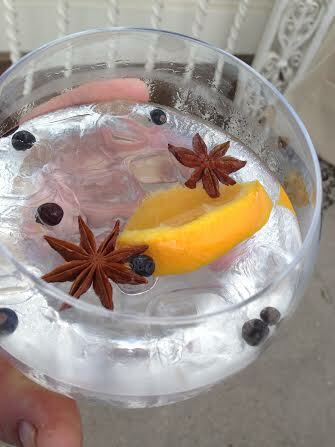 Fantastic for those Summer gin and tonics! Prior to buying the citrus trees I did a little research and found a wonderful place called The Citrus Centre. These people really know about growing citrus and genuinely care about the products. 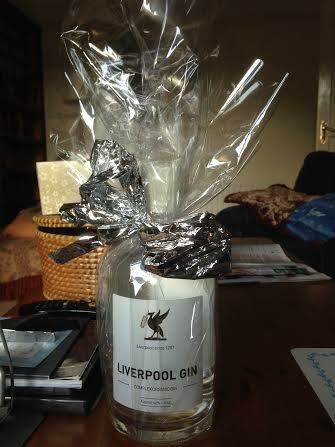 I am absolutely delighted with my purchases, which arrived by courier yesterday. The packages also included very detailed instructions on aftercare and the company offer after sales service which is ultra-friendly and second to none. Remove the fresh oysters from their shells and drizzle them with some olive oil. 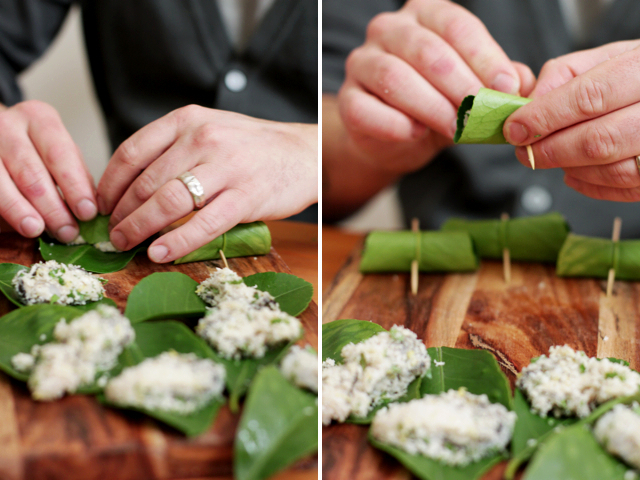 Combine the breadcrumbs, herbs, zest, garlic, salt and pepper in a small bowl, and roll each of the oysters in this mixture then place each on a lemon leaf, fold over the leaf and secure with a toothpick. Bake or grill until the oysters are sizzling and just cooked, about 5 minutes. Serve immediately with some lemon wedges or cheeks. To eat, simply remove the toothpicks, open up the fragrant lemon leaves, squeeze over some lemon juice and use the toothpick to pop that oyster into your mouth – perfect with some crusty ciabatta bread and a little glass of something dry and sparkly. 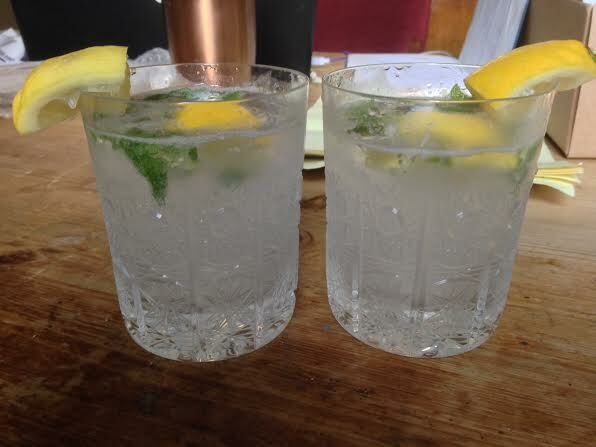 G & T with mint from the garden. Don’t mind if I do! 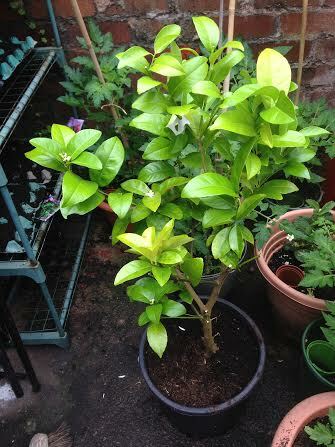 This entry was posted in The 'Urban Farm' and tagged advice, bush, centre, Citrus, distillery, fever, gin, growing, Jimbhiri, latifolia, Lemon, Lime, limited, liverpool, ltd, Rough, Shaub, shrub, Tahiti, the, tips, tonic, tree. Bookmark the permalink.